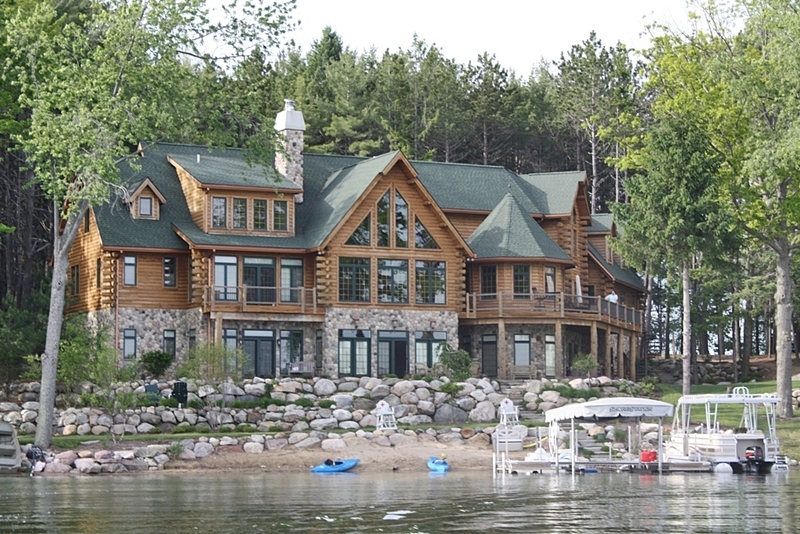 What comes to mind when you think of a luxury log home? Space, cozy space, wide outdoor space? All of these things can be found in the home at 8839 Hidden Harbor Drive in Rodney, MI. This home boasts over 8000 sf of living space; all situated on the county's second largest all-sports lake - Horsehead Lake in Mecosta County. This home is a super value for a home of this type and size. Beautifully appointed with breathtaking views of the water, cape cod style lower level, walkout to the lake, exquisite landscaping and patio/deck spaces. The main feature, however, is a chef's kitchen complete with a wood-fired pizza oven from Tuscany, Italy. The beautiful stone fireplace is also something to behold! Come and take at look at fine lake living at Hidden Harbor. Call me today to see this lovely lakefront home. 8839 Hidden Harbor Drive - see more on this home here.